St Johnstone joined Rangers through the Europa League exit door as they fell to a 1-0 defeat by 10-man FK Trakai in Lithuania. 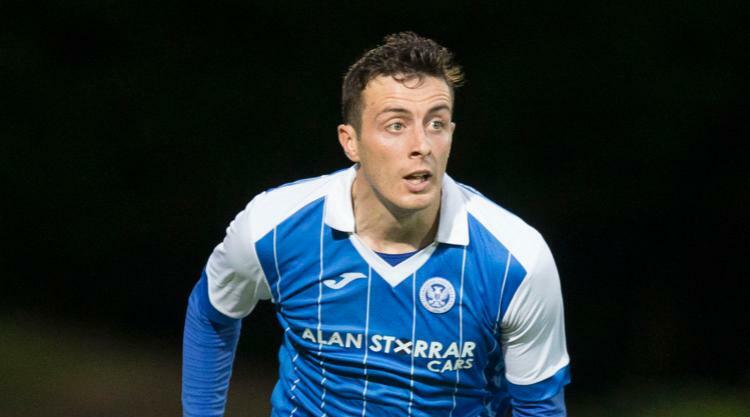 Saints needed two goals to overturn a 2-1 first-leg defeat and defender Joe Shaughnessy should have added to his headed goal at McDiarmid Park but failed to convert three similar chances. Home skipper Arunas Klimavicius was sent off in the 57th minute and Tommy Wright defied medical advice to risk striker Steven MacLean on the artificial surface of the LFF Stadium - where Scotland will play in a World Cup qualifier on September 1. But Wright's men struggled to break down their hosts and they were caught out in the 88th minute as Maksim Maksimov netted his second goal of the tie to complete a miserable week for Scottish football in the first qualifying round following Rangers' defeat by Progres Niederkorn of Luxembourg. Saints made five changes with Scott Tanser and Stefan Scougall both making their first starts and Chris Kane starting up front on his own. Shaughnessy had the first of his chances in the 14th minute when he met Liam Craig's free-kick but his header was pushed over. The Irishman had a much better opportunity from the resulting corner when he shook off his marker to meet Blair Alston's back-post delivery but he headed too close to the goalkeeper from five yards and Ignas Plukas got his hand to it. Trakai, who are midway through their domestic season, had bossed possession for the first hour in Perth but Saints were dominating the ball after another week's preparation. Kane got himself into a good position after brushing off a defender to run on to Tanser's long ball but he could not catch his attempted lob right and it went straight to Plukas. Murray Davidson was brought down by Klimavicius as he ran in on goal but Bulgarian referee Stanislav Todorov ruled there were covering defenders and issued a yellow card before Alston scooped the free-kick over. Klimavicius received his second yellow card 14 minutes later for what looked an innocuous challenge on Kane, although the Saints striker went down clutching his face and the referee had no doubts. Shaughnessy should have scored a minute later but he did not make enough contact from a free header and glanced just wide. MacLean, whose previous knee injuries normally rule him out on plastic pitches, came on and got a header on target but it was comfortably saved and Trakai continued to frustrate Wright's side. A number of corners, crosses and cutbacks failed to fall for a blue shirt, the officious referee blew for a series of fouls as Saints launched the ball into the box, and David Wotherspoon shot over from a free-kick. Trakai began to create some half-chances on the break a nd they delivered the final blow when Maksimov ran on to a ball through a large gap between Shaughnessy and fellow centre-back Ally Gilchrist and calmly slotted home.